Preheat the oven to 400 degrees. Place some very warm water in a large bowl. Dip one corn tortilla into warm water a few second until it turns pliable (don't skip this step as your tortilla will be brittle and will crack when you roll it). Transfer the tortilla to a work plate, place about one heaping tablespoon of chicken on the lower half of the tortilla. Sprinkle about 1/2 tablespoon of cheese on top of the chicken, and roll the tortilla all the way up. Place rolled tortilla on a lined baking sheet, seam-side down. Repeat the process with the remaining ingredients. Bake in the oven for about 20 minutes, until brown and crispy. 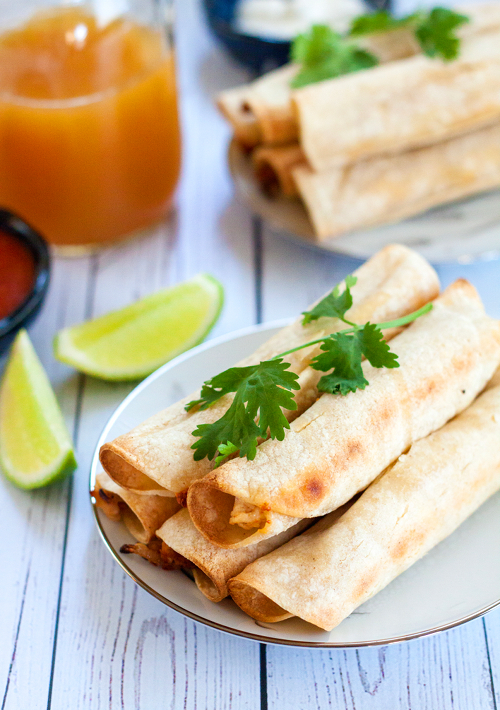 Garnish with cilantro and lime wedges. Serve warm with condiment of your choice (salsa, Guacamole, sour cream, hot sauce). You're very welcome. Hope you enjoy them. I have baked chicken for years, always the same recipe. Today, I decided to try something different and found this one. It was easy and delicious. 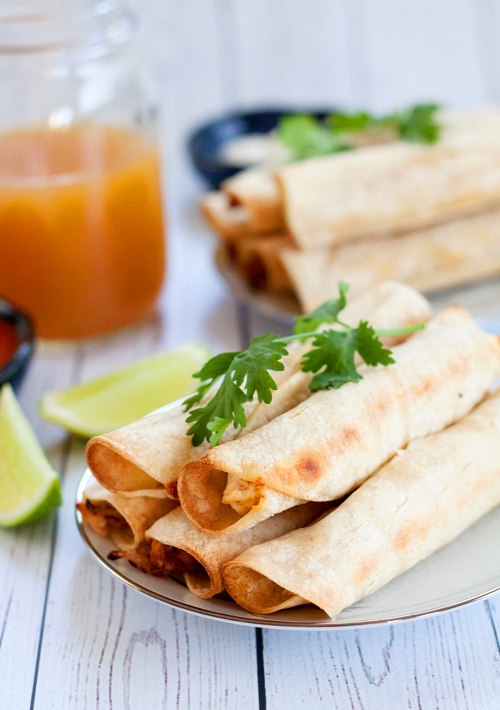 Can these be made with flour tortillas? Possibly cut in half before stuffing? Yum! This looks really simple and tasty.